According to a report in the Punch Newspaper of February 28, 2016, a girl of 14 years of age by name Ms Ese Oruru was allegedly abducted from her mother, Mrs Rose Oruru (a food vendor), from a community in Opolo, Yenagoa Local Government Area of Bayelsa State and taken to Kano State on August 12, 2015 where she was converted to Islam and married by her abductor, one Mr Yinusa, aka Yellow from Kura Local Government Area of Kano State. From the report in Punch Newspaper, certain facts are deducible and imperative, namely: A minor was taken away by an adult from the care and supervision of her parents in Bayelsa State to Kano State by an adult without parental consent. The minor was allegedly converted to Islam with or without her consent. Her abductor married her without parental consent. All efforts by her parents to rescue her were rebuffed by the Chief of a village in Tufa, in Kura Local Government Area of Kano State and by the Kano Emirate Council. The Emir of Kano and the Kano Emirate Council abetted the purported conversion and marriage of the minor. The abductor was given protection by the Nigeria Police Force. In dissecting the legal implications of the above, I am guided by the need to obviate sensational submissions which are capable of causing ethno-religious altercations and acrimony. This article is not in anyway intended to offend the religious sentiments or sensibilities of those who are averse to a discussion of the subject matter under consideration. However, this cautious approach will not prejudice an analysis of the truth and justice of this case. Nigeria has two basic penal jurisdictions; the North and the South. While the Penal Code applies to the Northern States and the Federal Capital Territory (FCT), the Criminal Code applies to the Southern States. It should be noted that most States in the country have domesticated the provisions of both legislations with little or no modifications. Abduction of a person by another is an offence punishable on conviction with imprisonment, fine or both, depending on the extent provisions of the applicable legislation. Section 272 of the Penal Code which applies in Kano State where the suspect (Mr Yinusa) resides, defines abduction in the following terms: "Whoever by force compels or deceitful means induces any person to go from any place, is said to abduct that person. Section 273 of the Penal Code states that "whoever kidnaps or abducts any person shall be punished with imprisonment for a term which extend to ten years and shall also be liable to fine." Under the definition Section reproduced above, the offence of abduction is constituted in the North when a person causes another to go from any place, either by force or through deceitful means. What amounts to deceit is a question of fact depending on the circumstances of the case. In the instant case, there is no argument about the fact that Mr Yinusa caused Ms Ese to go from a place (Bayelsa State) to Kano State. Whether this movement was orchestrated forcefully or through deceitful means depends on certain considerations, the testimony of the suspect, the victim and that of her parents. From the Punch Newspaper report, the mother and father of Ese stated in clear terms that their daughter was taken away by Yinusa without their knowledge and consent. According to Ese's mother, the suspect informed her "through phone calls that he did not kidnap her daughter as he took permission from one Dan Kano before he abducted her". Also, in determining whether Ese was taken from Bayelsa to Kano by force or deceit, her age is a material fact that should be considered. As at August 12, 2015 when she was taken away, Ese was just 13 years old. I submit that a 13 year old girl, raised and brought up in a Christian community in Bayelsa State, where child marriage is an anathema, is incapable of appreciating genuine marital proposal from a man. It is unlikely for a girl of her age in such environment to wilfully ignore her parents, follow a stranger to an unknown land, willingly convert from her religion (Christianity) to another (Islam) and marry her abductor. That is a logical impossibility. However, for argument sake, if this is possible, the suspect lacked the right to take her away or cloth her with the claws of matrimony as the Child Rights Act 2003 has clearly prohibited child marriages. I shall return to this later. It is apposite to examine the position of the law of the locus criminis (the place of commission of the offence). The victim was taken from her parents' care and protection in Bayelsa State. The Criminal Code Cap. C38 LFN 2004 is applicable to all Southern States of Nigeria, Bayelsa inclusive. "Any person who, with intent to marry or carnally know a female of any age, or cause her to be married, or carnally known by any other person, takes her away, or detains her, against her will, is guilty of a felony, and is liable to imprisonment for seven years." "Any person who unlawfully takes an unmarried girl under the age of sixteen years out of the custody or protection of her father or mother or other person having the lawful are or charge of her, and against the will of such father or mother or other person, is guilty of a misdemeanour, and is liable to imprisonment for two years." In substance, two separate offences are provided for by Sections 361 and 362 of the Criminal Code. While the former is a general provision on abduction of women, the latter provides exclusively for the offence of abduction of girls under sixteen. The two offences have distinguishable elements and arises in different circumstances. In the former section/provision, the operative words in Section 361 are "against her will". Thus, the offence is not constituted if the woman consents to being taken away or detained. However, under Section 362 of the Criminal Code, any person who takes an unmarried girl under sixteen years of age out of the custody or protection of her mother, father or guardian without the consent of such mother, father or guardian is liable and guilty of abduction. Unlike Section 361 of the Criminal Code, Section 362 is a female child protection provision which dispenses totally with the consent of the child. Except with the express consent of the parent or guardian, no unmarried girl under sixteen years in Bayelsa State or any part of Southern Nigeria can be taken away for any purpose whatsoever. The law on female abduction in the South is stricter than the law in the North which has lesser protective mechanism for the girl child. Section 363 of the Criminal Code reinforces the prohibitive provisions of Section 362 of the Criminal Code in two ways. Firstly, ignorance of the age of the unmarried female is not a defence to a charge of abduction under Section 362. Secondly, it is immaterial under the said provision that the unmarried female was taken with her own consent or at her own suggestion. From the standpoint of the law in the South, Mr Yinusa cannot legally assert that Ms Ese had consented or that it was on her own suggestion that he took her to Kano State. The effect is that it is not open to the suspect or any other person to contend that it is a case of "elopement", and not abduction. By Section 363 of the Criminal Code, making a case of elopement, no matter how cogent and plausible, will not avail the suspect. Once it is established by credible evidence, beyond reasonable doubt, that Ms Ese was less than sixteen years as at August 12, 2015 when she was taken away, and that her father and mother did not consent to her being taken to Kano State, the offence is complete. The Child Rights Act 2003 (hereinafter referred to as the Act) has gone further to address cases of violation of the girl child like the present case. The Act was enacted by the National Assembly to protect the Nigerian child. It is applicable to every State in the North, the South and the FCT. Section 264 of the Act mandates every State in Nigeria to establish a Child Rights Implementation Committee. (1) "No person shall remove or take a child out of the custody or protection of his father or mother, guardian or such other person having lawful care or charge of the child against the will of the father, mother, guardian or other person. (b) where the child is unlawfully removed or taken out of the State in which the father, mother, guardian or such other person who has lawful care of the child is ordinarily resident, to imprisonment for a term of ten years. This provision in essence prohibits the abduction of a child, irrespective of gender, out of the custody or protection of his/her father or mother or guardian. Section 277 of the Act defines a child as "a person under the age of eighteen". This is exactly what Mr Yinusa did. He took Ms Ese out of the custody and protection of her parents and out of the State (Bayelsa) where the said parents ordinarily resides. Thus, he can alternatively be charged under Section 27 of the Act if the prosecutorial authority is of the view that the provisions of the Penal Code are not explicit enough. However, that will be an erroneous view. Prior to the enactment of the Act, there was no clearly defined age of consent in Nigeria. The law was not certain on when a person is of age to marry. This led to the propagation of diverse theories on the subject, ranging from the test of puberty to religious and cultural doctrines. However, with the coming into force of the Act in 2003, capacity to contract marriage has been pegged by the National Assembly. Specifically, Section 21 of the Act provides that: "No person under the age of 18 years is capable of contracting a valid marriage, and accordingly, a marriage so contracted is null and void and of no effect whatsoever. What this simply means is that marriage cannot take place in Nigeria except the two contracting parties are above 18 years of age. commits an offence and is liable on conviction to a fine of N500,000 (five hundred thousand Naira) or imprisonment for a term of five years or to both such fine and imprisonment." Based on the provisions of the Act, the purported marriage between the suspect (Yinusa) and the victim (Ese) is not only null and void but an offence. It is totally, morally and legally reprehensible for the suspect to have abducted a naive minor who barely knows the intricacies of her body physiology and anatomy, let alone the very fundamental and daunting demands of marriage. The attempt by some persons to use Islamic injunctions and allowances and the purported conversion of Ese as a cover for this brazen criminality must be resisted. How can someone's child be taken away from the parents all the way from Bayelsa State to Kano State and allegedly converted from her Christian faith to Islam just to satisfy the insane libido of a man that is old enough to be her father? It is even more troubling that the very educated and highly revered Emir of Kano, Malam Muhammadu Sanusi II, had initially accepted custody of the victim and approved the purported conversion and marriage. I do not know whether Sharia ascribes any regard for parental consent in Islamic marriages. Mr Yinusa reportedly claimed that he took "permission" from one Dan Kano, who I suppose is the leader of the Kano community in Bayelsa State, before abducting Ese. That makes the said Dan Kano an accomplice who should be arrested and prosecuted. The issue is that this girl (Ese) has not been a Muslim all her life. Her parents are not Muslims and she was not raised in a Muslim community. In any case, Nigeria is a secular state by virtue of Section 10 of the Constitution of the Federal Republic of Nigeria 1999 (as amended). What will be the position of the Emir of Kano if her 13 or 14 years old grand daughter or daughter is taken away by a Christian man from his palace in Kano to Bayelsa State, converted to Christianity and married off by the abductor? Will Malam Sanusi say that her grand daughter or daughter in such a situation be allowed to choose her faith and make her choices? If the suspect had any sensible and sincere interest in the minor, to the point of conceiving the irrational idea of taking her as a wife, why did he not first convert to Christianity and subsequently approach Ese's parents when she attains atleast eighteen years of age? This had nothing to do with love. It is a crime that cannot be exused for any reason whatsoever. This barbaric and criminal action by Yinusa must not go unpunished. If the suspect is not prosecuted for the abduction of Ms Ese to serve as a deterrence to other perverts whose libido have become a threat to the girl child in Nigeria, it would mean that Nigeria is not a country of laws. Such inciting impunity must not be allowed to fester in the 21st century. 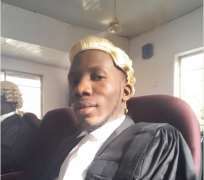 Mr Yinusa who was domiciled in Bayelsa State prior to August 12, 2015 when he took Ms Ese out of the custody and care of her mother and father was bound by the provisions of the Criminal Code at the time of commission of the offence(s). The offence of abduction arose in Bayelsa. Therefore, he can be arrested and taken to the locus criminis to face trial. The Bayelsa Court will have jurisdiction in the circumstance to try him for abduction of an unmarried girl under sixteen without parental consent. Even if he had kept her within Bayelsa State, he will still be liable because the decisive test under Section 261 of the Criminal Code is whether Ms Ese had been taken out of the "custody" and "care" of her parents. I strongly recommend that the suspect be arrested and taken to Bayelsa State to face trial. In the event that this is not done, the authorities should ensure that Yinusa is diligently prosecuted in Kano State for abduction under Section 273 of the Penal Code and for contracting a void marriage contrary to Section 23 of the Child Rights Act. It is most probable that Ese has been sexually assaulted by her abductor. She needs urgent medical and psychological care and examination. She deserves compensation, not just her physical freedom. The Kano Emirate Council should tender an unreserved apology to the Oruru family and Nigerians for abetting this scandalous action and criminality of Yinusa. It is not enough that the Emir of Kano has now accepted that Ese be returned to her parents. If the Punch Newspaper had not launched the Free Ese Campaign would the Emir had ordered the Kano Sharia Commission to liase with the Assistant Inspector General of Police Zone 1 for Ese's release? It is also important for the Police authorities and the Nigerian government to investigate why this case lingered to this time. It is a sad commentary that the Inspector General of Police, Mr Solomon Arase, would declare that Ese's release was contingent on the availability and cooperation of the Emir of Kano. That is an insult on the Nigerian state. Why should the consent of the Emir be sought before the law is enforced? Is Nigeria a theocracy? Mr Arase has totally undermined the integrity and independence expected of his office. In saner climes, the Emir would have been questioned by the police over his role in this case. The National Human Rights Commission should take a decisive position and action on this matter. Disclaimer: "The views/contents expressed in this article are the sole responsibility of Inibehe Effiong and do not necessarily reflect those of The Nigerian Voice. The Nigerian Voice will not be responsible or liable for any inaccurate or incorrect statements contained in this article."